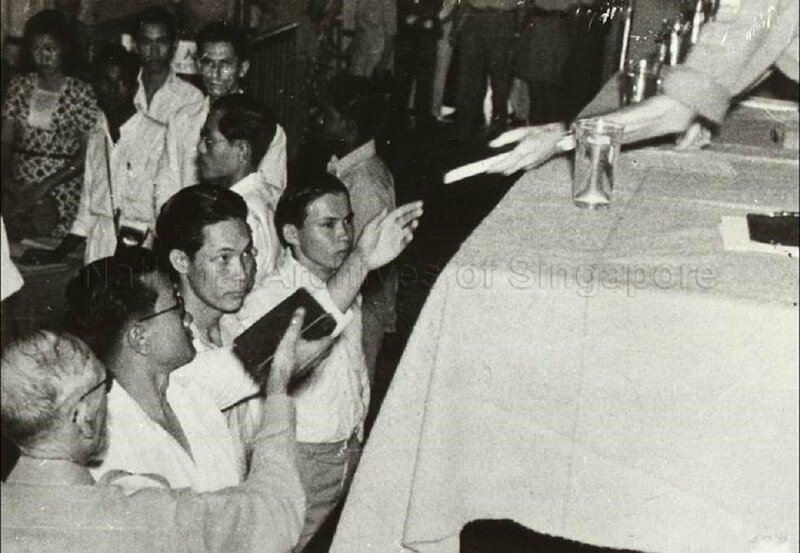 Witnesses taking their oath at the Sook Ching Massacre Trial at Victoria Memorial Hall, 1947. Image courtesy of Tham Sien Yen Collection, National Archives of Singapore. The defendant who was commander of a sub-unit of the 2nd Field Kempeitai, which formed part of the Singapore Garrison, was concerned in the killing of at least 177 Chinese civilian residents of Singapore. 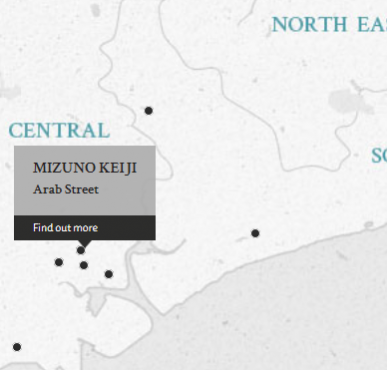 The defendant was the last Japanese war criminal to be tried in Singapore. 46 former pupils of the defendant from Nagoya City Girls' High School signed a petition asking that a lenient view be taken of his case. Mizuno, Keiji. Major. From Japanese military. From Japan. Guilty. Imprisonment for life. Sentence confirmed. Massie, L.A. Lieutenant Colonel. From British military. Court President. Solicitor. Barrett, A.L. Lieutenant Colonel. From British military. Solicitor. Urquhart, Macduff R. Major. From British military. Hokabe, Tadamitsu. Barrister at Law of the Supreme Court of Tokyo.